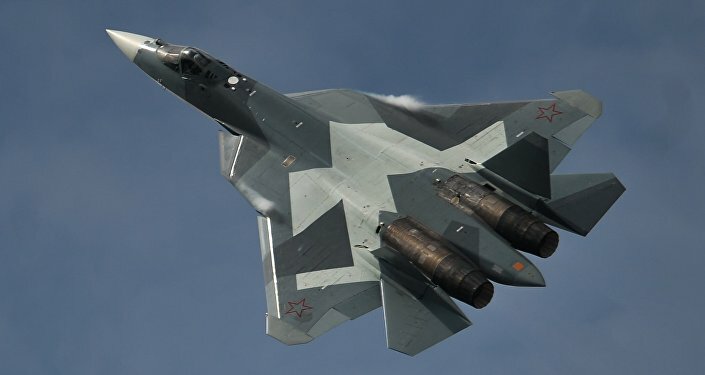 Four state-of-the-art Russian Su-57 stealth fighters, which have reportedly been deployed to Syria, will not be engaged in active combat, according to Kommersant, a Russian daily. The newspaper Kommersant cited military sources as saying that the Russian fifth-generation Su-57 fighter jets were deployed to Syria to test radar systems and electronic warfare. The Su-57s will not take part in combat missions in Syria, the sources said, adding that the decision on the deployment was made during last year's MAKS airshow in Zhukovsky outside Moscow. According to Kommersant, the planes were due to be deployed to Syria on the eve of Russia's Defender of the Fatherland Day, which is celebrated on February 23. Another goal of the deployment is to promote the capabilities of Russia's military-industrial complex by showcasing Russian military activity in Syria. On Sunday, Sputnik Arabic reported the arrival of two more Su-57 fighter jets at Syria's Hmeymim Airbase, referring to the photos of the aircraft on Wael Al Hussaini's Twitter page. Earlier last week, Al Hussaini posted the photos of the first two Su-57 arriving at Hmeymim. The Russian Defense Ministry has yet to confirm the information. 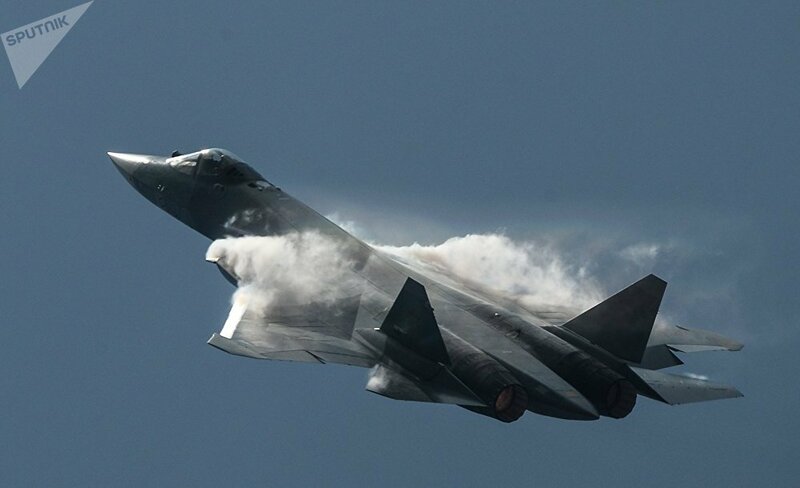 Formerly known as Prospective Airborne Complex of Frontline Aviation (PAK-FA), or Sukhoi T-50, the Su-57 is equipped with state-of-the-art avionics and an active airborne phased array radar which allows the plane to effectively destroy air, ground and naval targets.